citrus and style: "Oh how I love New York!" "Oh how I love New York!" Sorry for the picture overload! But seriously, What. A. Trip. I knew I would like New York, but I didn't expect to completely fall in love with the hustle and bustle the city has to offer. (It is now my goal in life to live in the city for at least a year!) The amazing people I met, the delicious food I ate, oh gosh where do I begin? The Smart Girls Group conference was very inspiring and I am so grateful for the opportunity to attend. Being able to hear from incredible women like the editor of Marie Claire, an anchor from Bloomberg News, one of the founders of the Malala Fund, among countless others, was one of the coolest experiences I've ever had. Hearing success stories from influential women from around the world is so motivating and that being said, a huge thank you goes out to the Smart Girls Group for putting together such an amazing summit! As far as exploring New York itself, the West Village and the Upper East Side had to be my two favorite neighborhoods. They were so incredibly charming and I could actually picture myself living there (in comparison to the crazy Times Square area). I also loved Madison Avenue (Kate Spade and Laduree were out of this world!) and 5th Avenue for their fabulous shopping, even though I surprisingly didn't buy one thing! Besides the site seeing and shopping, the best part of the trip was getting to meet everyone I had been chatting with online in real life. I had met one of my good friends Chloe last summer (she's a doll! ), so getting to see her again as well as Sloane, Sammy, Bess, Katelyn and Shannon was too fun. They're all just as cute and sweet in real life and I'm so glad I got to meet them in person! 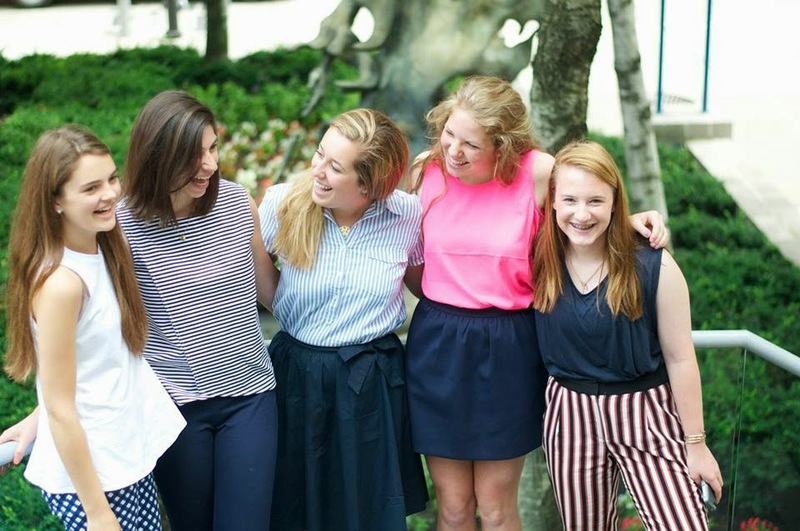 As well as talking with fellow bloggers my age, I was so thrilled to be able to sit down and chat with Carly, Mackenzie and Amy, three women that are such amazing role models for me. They were just as adorable and kind as they seem online and I seriously can't believe I met them! Meeting people you've talked to online in real life is such a strange concept, but somehow it felt like I had known each one of those girls forever. It really hit me how similar we actually are (not ashamed of taking 26 different picture options for Instagram) and that we all have similar goals and morals. All and all, it was one of the best experiences of my life and it really makes me excited to see where blogging will take me! I'm interested to hear: what are your favorite memories from New York City or any trip you've taken? I had such a great time at the conference and wish I got to meet you, I love your blog! Shopping on the Upper East Side and Central Park are my two favorite things about the city! Such cute outfits! Hope you had a blast! Looks like waayyy too much fun! Bloggers in NYC? Don't mess, obv. I'm still so jealous that you all had the chance to attend the conference! Glad you had so much fun and love the photos! What fun!! I'd love to attend someday...there are so many amazing and inspiring bloggers out there!! Looks like you had a wonderful time in NYC! I was in NYC this past weekend for the Her Campus Conference! 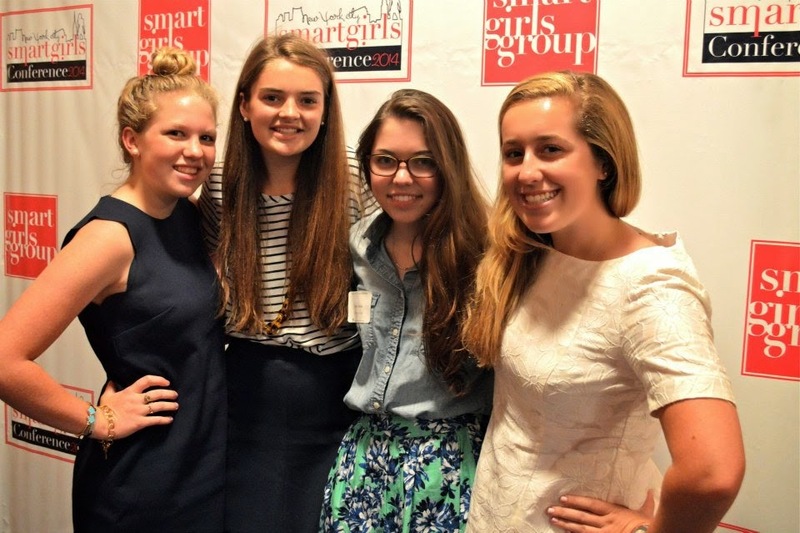 I wish I could have attended Smart Girls - I heard so many good things!! Looks like a killer trip to NYC! You all look absolutely adorable. I'm so glad we met, too!